Please note: we now only provide the weekly roadworks report in the map-based format. A link to this format has been provided previously but an improved version has now been launched. The Excel based report is no longer available. The map-based report, which is accessed via a web browser, will be updated and go live at 5pm each Wednesday. The shortcut provided below will always take you to the current version of the report. The roadworks are sized and colour coded according to a score (number of days on site weighting by traffic management and road class) and plotted on an interactive map. Therefore giving an indication of the impact of the works. As the roadworks are shown on a map, the location is much clearer and unambiguous. There is an option to zoom to a select parish boundary so you can easily see the roadworks for a particular area of interest. Roadwork details are still available in table format (shown underneath the map) and the table can be customised to reflect only those works shown on the current map area. To get the most out of the report, it is highly recommended that you read the detailed help file available here. 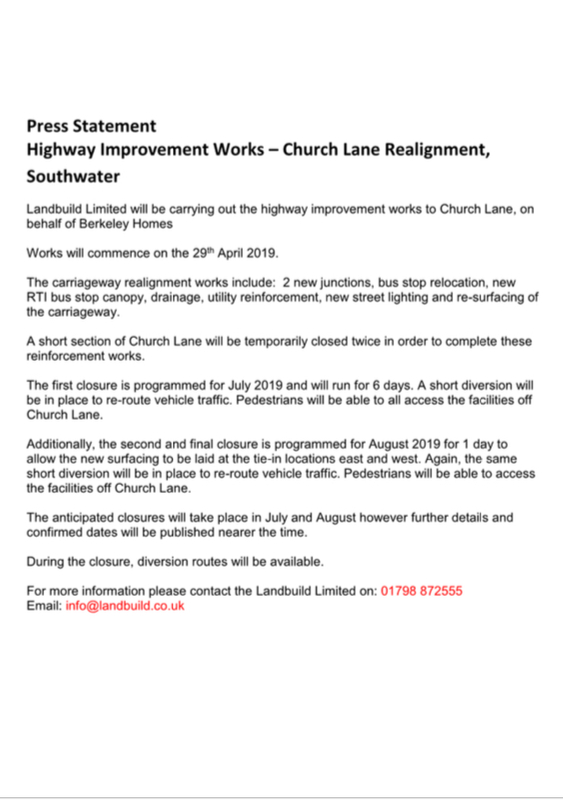 Please remember that the report is only a snapshot of the roadworks and is only updated once a week. The date the snapshot is taken is shown in the heading of the report. Public Rights of Way inspections will be carried out next month in our parish. Following the inspection, routine maintenance work will be prioritised for delivery by contractors. If you are aware of any problems on your Rights of Way you wish to discuss, please contact him directly by the use prow@westsussex.gov.uk or call 01243 777620. 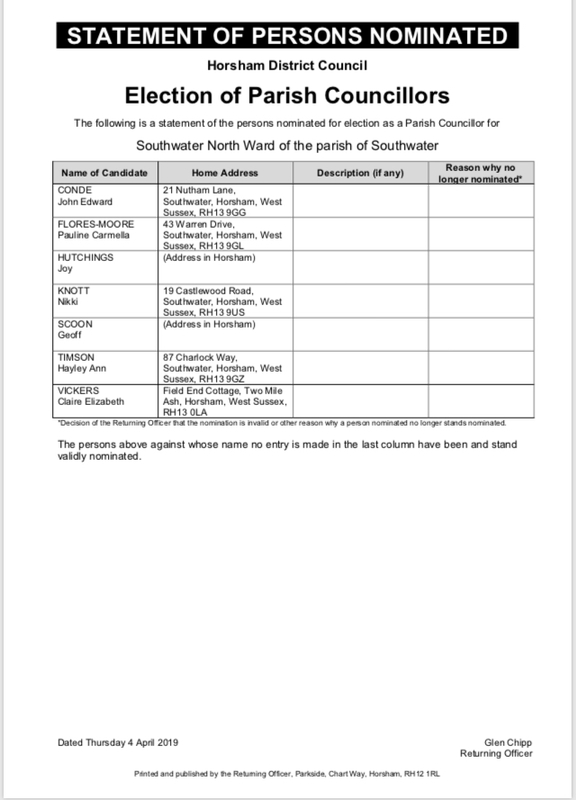 List of candidates standing in the Parish Council local elections has been announced. 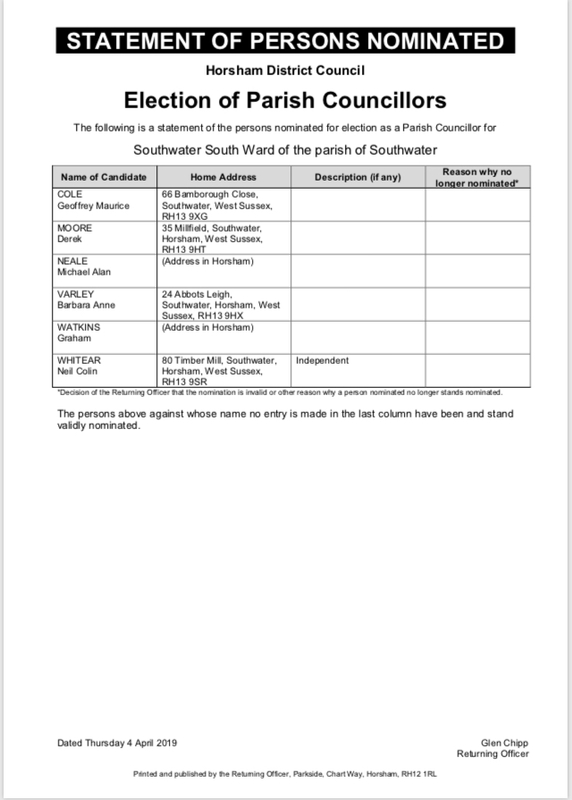 The vote will take place on Thursday 2nd May with the results counted and declared the following day. 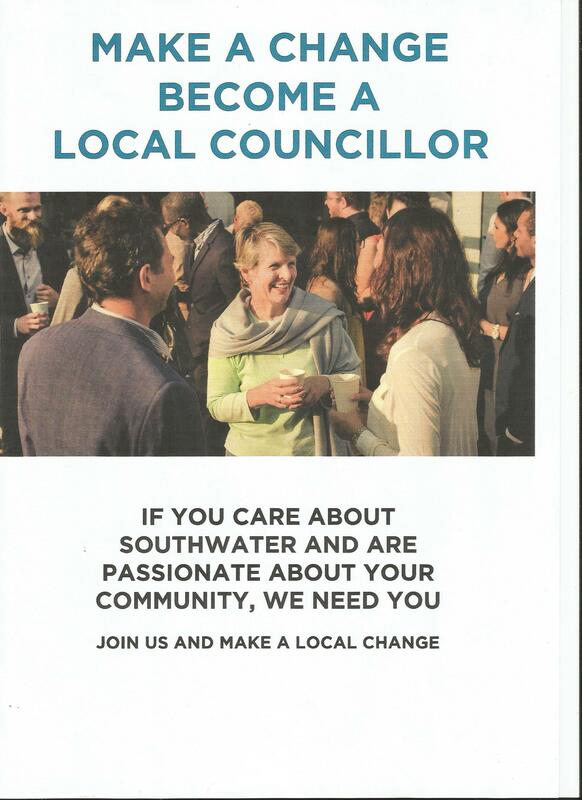 Southwater Residents areare invited to the Annual Parish Meeting on Wednesday 17th April 2019 at 7.30pm, in the Council Chamber, Lintot Square, Southwater. Come along and meet the Vice Chairman, Cllr Michael Neale who will open the meeting with a warm welcome a short introduction and present the Annual Report. A joint County, District and Parish Council surgery took place in Beeson House, last Saturday 2nd February 2019 with councillors from all three present. HA variety of issues were addressed at the meeting, these being a blocked culvert, continuation of a footway in Southwater Street and how this may be delivered, proposals for a small development in the Worthing Road (adjacent to the Infant School), and other general comments about matters of concern within Southwater. 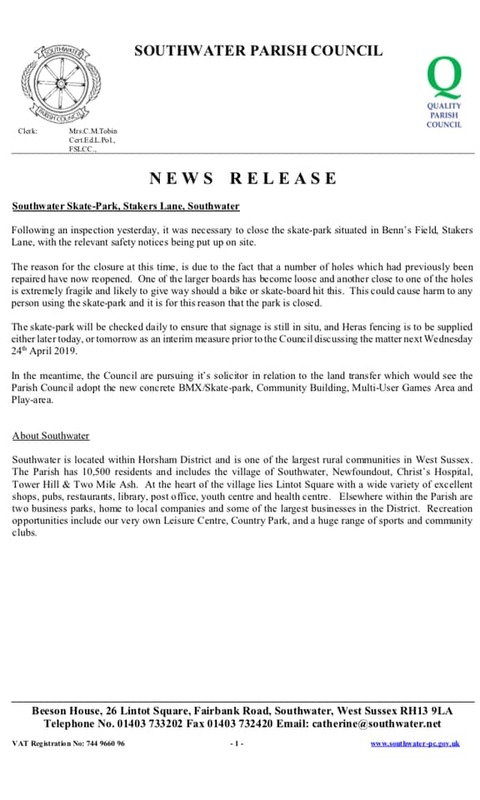 These will all be taken forward with a view to trying to resolve many of them either through the Parish Council or in partnership with principle authorities. 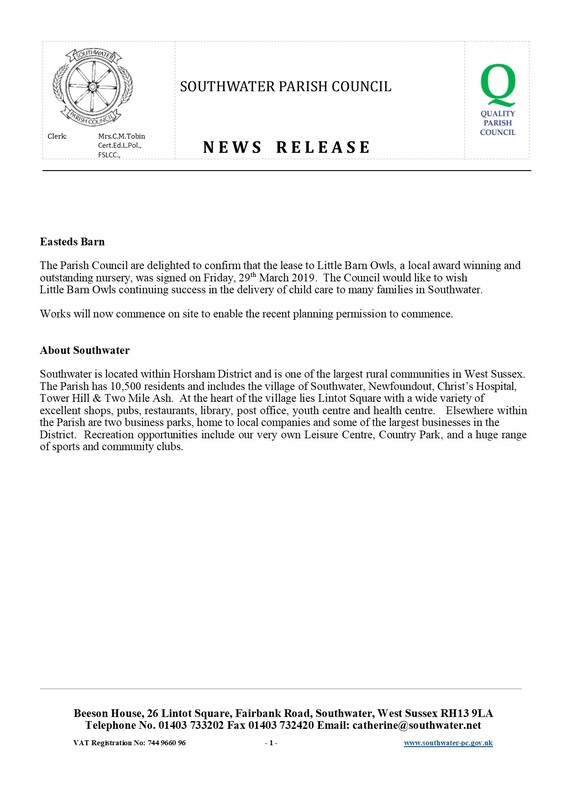 Please note that all Parish Council meetings are open to the public and the public are allowed to address the Council on items of concern to them at these, but the above meetings now being held on the first Saturday of each month in Beeson House, give local residents a chance to come along informally meet councillors and discuss such matters of concern. In the meantime, the Parish Council office is open to the public from Monday to Friday in Beeson House between 10.30am and 3.30pm. 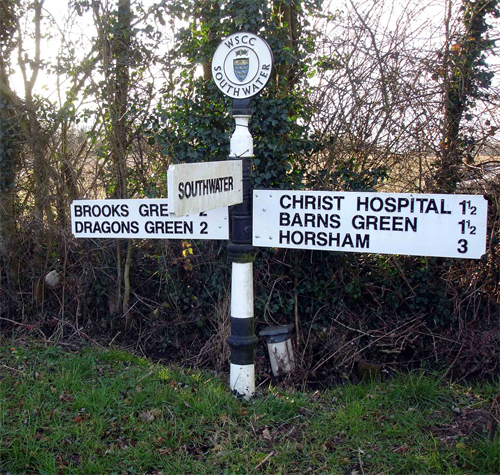 Southwater is located within Horsham District and is one of the largest rural communities in West Sussex. The Parish has 10,500 residents and includes the village of Southwater, Newfoundout, Christ’s Hospital, Tower Hill & Two Mile Ash. At the heart of the village lies Lintot Square with a wide variety of excellent shops, pubs, restaurants, library, post office, youth centre and health centre. Elsewhere within the Parish are two business parks, home to local companies and some of the largest businesses in the District. Recreation opportunities include our very own Leisure Centre, Country Park, and a huge range of sports and community clubs. Further to comments made by members of the public on the Southwater Community Facebook site, (reported directly to the Facebook moderators who immediately removed the comment), residents should be reminded that all councillors must abide by a code of conduct setting out the following standards https://www.gov.uk/government/publications/the-7-principles-of-public-life/the-7principles-of-public-life--2 . All parish councillors are local residents with families living in the community; many work in areas where they are required to retain such standards and comments in relation to potential “corruption” can affect their employment. 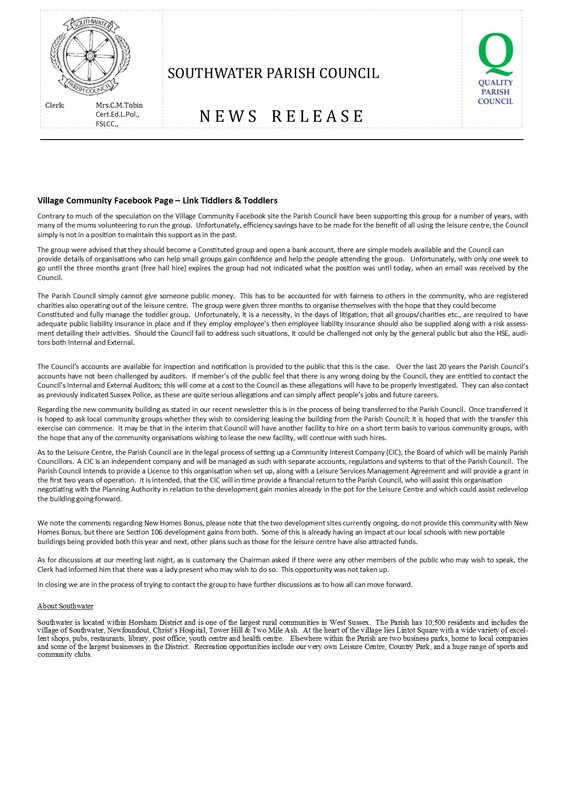 To view the full Press Release click on link below. The next meeting of the forum will take place at 7:30pm in the Lewes Room, County Hall North, WSCC, Parkside, Chart Way, Horsham. We have lots to discuss, including what’s happening (or not happening) on the town centre contraflows scheme and the latest on the Novartis planning application. We really value your input so please do join us! On Thursday the 8th November Deborah Bailey and a group of ladies connected with Southwater’s Welcome Club came together to clear paths and overgrowth and tidy-up whatever needed attention around the railway embankment. They cleared the containers and planted hundreds of spring bulbs. The group also found time to tidy the memorial in readiness for Sunday’s Remembrance Day service. On behalf of the community we would like to say a BIG thank you for your efforts and hard work. Two memorial benches commemorating both the Great War and World War II have been unveiled at the War Memorial, dedicated to the memory of the men and women who served in both the World Wars. As the UK heads towards an important new chapter, Gatwick is today unveiling a draft Master Plan for ongoing development and sustainable growth at the airport, which sets out how the airport can meet the growing demand for air travel and deliver connections to global opportunities. Continuing to safeguard the land for an additional runway in the future, while not actively pursuing one today the proposals are in line with the government’s policy support for making best use of existing runways and will deliver highly-productive, incremental new capacity with minimal environmental impact, to complement expansion schemes at other airports across the South East. We believe the plans offer safe, agile, low-impact ways of unlocking much-needed new runway capacity from within our existing infrastructure - however, it is important that everyone has their say so we look forward to hearing the views of our local communities, partners and stakeholders. Further to our recent Bus Strategy Consultation, West Sussex County Council would like to know more about how passengers use our supported bus routes across the county. 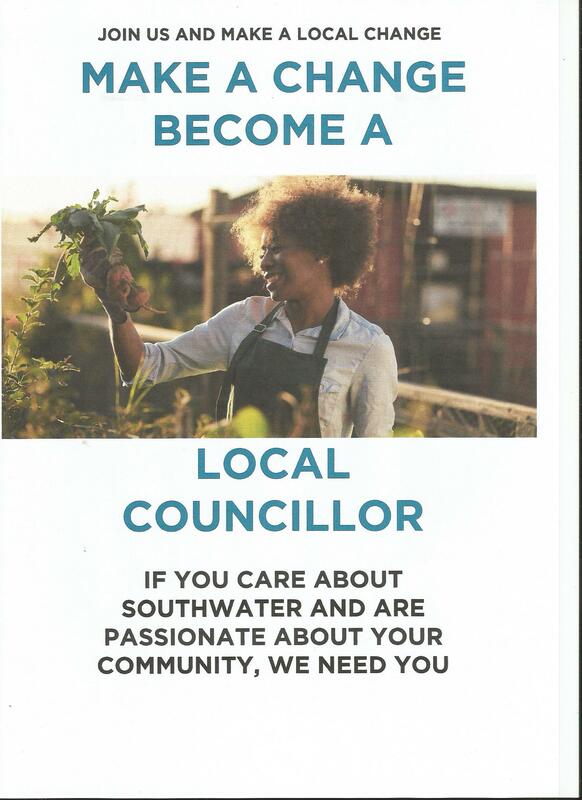 Your Southwater Councillors are volunteering to serve Southwater, and you. So if you have any problems, queries or suggestions about Southwater and the community, they are happy to help. Please come along to Beeson House and meet them. Surgeries are held on the 2nd Saturday of each month, 10 - 11am, Beeson House, Lintot Square. The Parish Council are considering applying for a County Council Watershed Grant once again. Various areas were identified at the meeting when this matter was discussed including Cripplegate Lane (by the old bridge). If you are aware of any area which you deem to be a flood or drainage risk within the parished boundary can you please contact in writing to the Parish Council office. We will then look at these and establish whether or not they might meet the necessary grant funding criteria. Southwater Parish Council have produced this "One-stop-shop" Residents Information Pack to assist the understanding of; the extent of Southwater Parish, it's relative size and population, the roles and responsibilities of the three governing council authorities that operate within the Parish, SPC structure, and a breakdown of 2018/19 budget supported by various comparisons.